When you hire Alex Rajak as your wedding officiant you can rest assured that your ceremony will be smooth, professional, fun and memorable. Alex rajak will help you to create and customize a personable wedding ceremony offering various templates and helping you structure your vows and incorporate. readings and unity ceremonies on your wedding day. Contact Alex today to schedule a free consultation and discuss ways personalize structure the vision of your wedding ceremony. Wedding Ceremony Performed in Toronto? 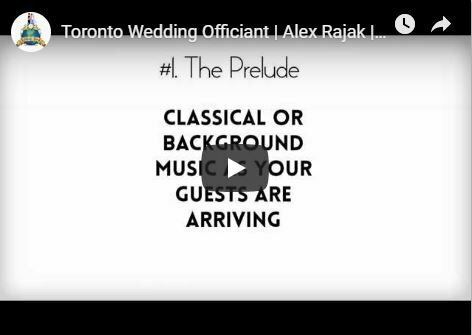 My name is Alex Rajak and I am a professional and licensed wedding officiant performing weddings all across downtown Toronto. 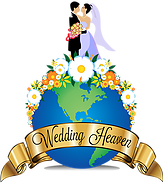 I want to congratulate you on your upcoming wedding and I want to let you know that I am able to help you to create a ceremony that is fun personalized and memorable. I specialize in performing multicultural weddings in Toronto if you would like a few words or paragraphs said in your languages such as Chinese Spanish Greek Portuguese Italian Russian and many more languages I can help you. I have performed ceremonies in various venues hotels and wedding ceremony locations across Toronto. Set up a free consultation for your wedding ceremony where we will discuss all of the fine details, such as the size of your bridal party, whether when you plan on incorporating a unity ceremony and other personal touches that you can add into your wedding Ceremony to make it fun and memorable. 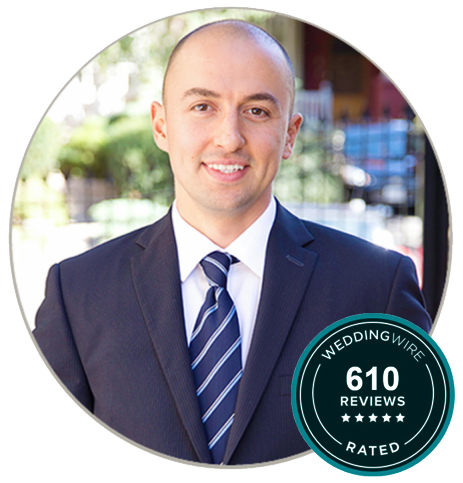 Feel free to check out our wedding wire reviews we have collected over 600 reviews in six years and have helped couples all across Toronto and the GTA to have a fun and professional wedding ceremony. 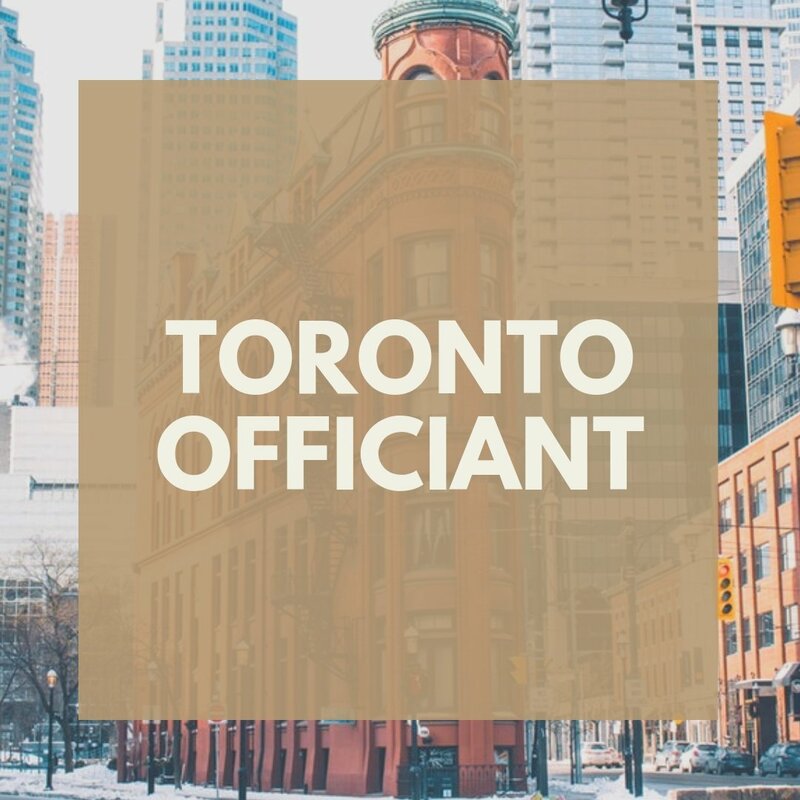 You will need to obtain a marriage license to get married in Toronto. To obtain your marriage license it must be within the 90 day period of your wedding date. The marriage license can be picked up in person in any city hall in Toronto and GTA. It takes roughly 20 to 45 minutes to pick up the marriage license in person. A single partner can complete this process, granted that he/she has completed marriage license application and two pieces of photo I.D for both applicants.